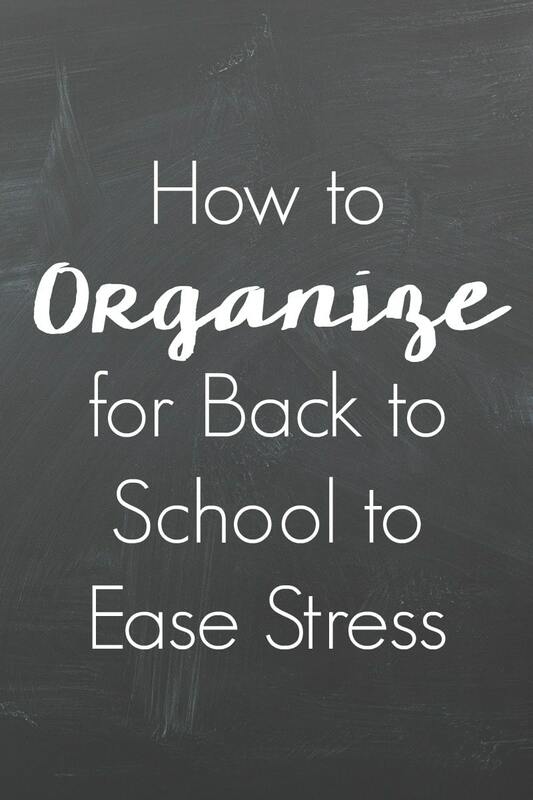 This post on How to Organize for Back to School to Ease Stress is a sponsored post on behalf of SignUp.com. Back to school is right around the corner for our girls. While we usually have a few more weeks to soak up the sunshine and get in as many fun times as possible, this summer is shorter than the others. Our school district recently changed our schedule, so this summer is the adjustment period where the students got out later and start earlier. Next year I know I’ll be thankful for the new arrangement, but for now I’m already mourning a summer that was gone too soon. It can get overwhelming trying to juggle so many things at one time and not completely freak out. But you can survive and stay organized and focused by using the right tools and making a game plan before you’re in the thick of it. Plan ahead with these 5 tips on How to Organize for Back to School to Ease Stress. 1. Adjust your schedule. Going from the freestyle schedule of summer to early waking times is rough and can’t be adjusted to overnight. Two to three weeks before school starts, begin adjusting your schedule for back to school. Parents will probably enjoy having a little more time alone at night while the kids go to bed early, but this also means adjusting the waking time for the kids that love to sleep so if you’ve been sleeping in this summer this will be an adjustment for you too. 2. Start shopping early. In many states, the weekend or two before school starts is a tax-free weekend. This means a lot of people are waiting until the last minute to pick up school supplies or new clothes so they can save some money. I don’t know about you, but the savings from tax is totally not worth it for me to fight the crowds or deal with the stress of waiting until the last minute. Stores start ramping up for back to school at least a month early and begin running sales in the weeks leading up to school starting, by shopping then you’ll still save money and your sanity. Or, many schools are now offering a pre-paid option where you can buy school supplies for the next year at the end of the previous school year through the school and the supplies are delivered to the classroom. 3. Don’t skip meet the teacher. 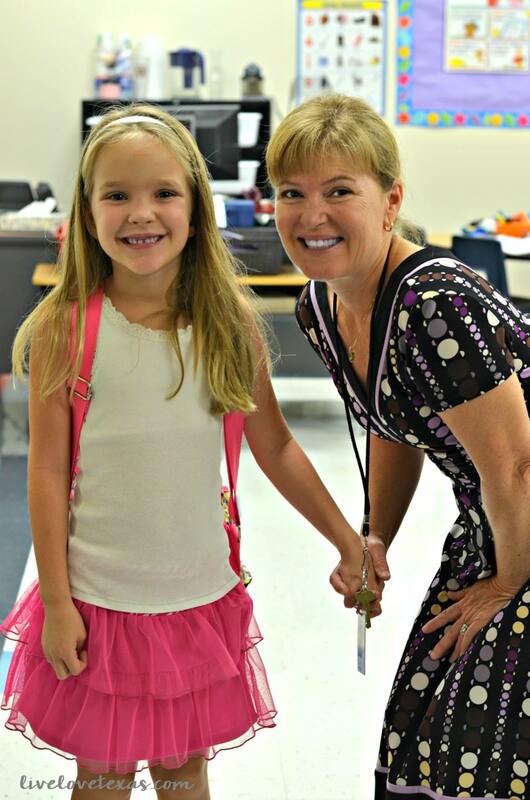 Not only does meeting the teacher allow your child a chance to put a face with a name and ease some of the initial back to school stress and anxiety, they’ll also get the opportunity to check out their new classroom, drop off school supplies, and see what friends will be joining them this school year. While we’ve forgotten to bring the supplies in early before, you can always carry them in on the first day of school or, what I’ve done since my girls ride the bus, are to split the supplies over the week in her backpack. Either way, the supplies get there and no one is stressed out they weren’t delivered early. 4. Learn to say no. Back to school is a the prime time for soliciting volunteers for every position available from the PTA to room mom to carpool driver and everything in between. Knowing your boundaries and prioritizing the events that are really important to you will help you stay organized and ease back to school stress. 5. Organize your schedule. I don’t know about you but our girls get sent home with way too much paperwork each week. With all of the paper shuffling going on, it’s easy to lose track of what’s going on and what you’re signed up for. It’s easy to lose track of everything you need to do and organize (especially when you have multiple children), but SignUp.com makes life easier. Even if you’re not on the PTA, volunteering to read to the class, chaperoning a field trip, or signing up for the class party is so much easier when you can see everything in one spot. 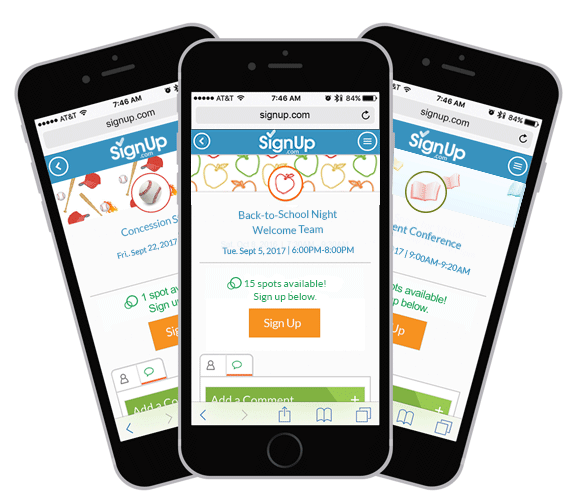 If you’re not sure how you can best use SignUp.com, they have tons of resources for parents and teachers from room mom ideas to school activities and ideas! But I don’t just plan on using SignUp.com to organize school activities, I’m excited to introduce it to our church as well. With a small church, volunteers are critical to our survival and operation. Each member feels responsible in doing their part to keep things running smoothly and all areas of the church staffed. Even with the best of intentions, life happens and sometimes people aren’t able to volunteer each week. Having a SignUp.com sheet in place would allow specifically for substitutes would help the ease stress and burden on Sundays and allow for a better flow. Ready to see how SignUp.com can help organize your schedule for back to school? Visit the SignUp.com website and follow them on Twitter, Facebook, and Pinterest! Now that you know how to organize for back to school to ease stress, check out these 5 Easy Ways for Working Parents to Volunteer at School and How to Get My Child Ready for Kindergarten! « Best Fruit Salsa Recipe Ever!